Earthquakes come and go as they please, leaving behind them trails of destruc- tion and casualties. Although their occurrence is little affected by what we do or think, it is the task of earth scientists to keep studying them from all possible angles until ways and means are found to divert, forecast, and eventually control them. In ancient times people were awestruck by singular geophysical events, which were attributed to supernatural powers. It was recognized only in 1760 that earthquakes originated within the earth. A hundred years later, first systematic attempts were made to apply physical principles to study them. During the next century scientists accumulated knowledge about the effects of earthquakes, their geographic patterns, the waves emitted by them, and the internal constitution of the earth. 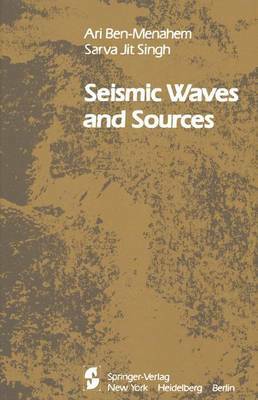 During the past 20 years, seismology has made a tremendous progress, mainly because of the advent of modern computers and improvements in data acquisi- tion systems, which are now capable of digital and analog recording of ground motion over a frequency range of five orders of magnitude. These technologic developments have enabled seismologists to make measurements with far greater precision and sophistication than was previously possible. Advanced computational analyses have been applied to high-quality data and elaborate theoretical models have been devised to interpret them. As a result, far- reaching advances in our knowledge of the earth's structure and the nature of earthquake sources have occurred.